Simply fill in the required fields. Quick dial allows you to dial the phone number from your phone. In this example if the user dials *101 from their phone babblevoice will call the full number. The global flag means it will be available to all users. 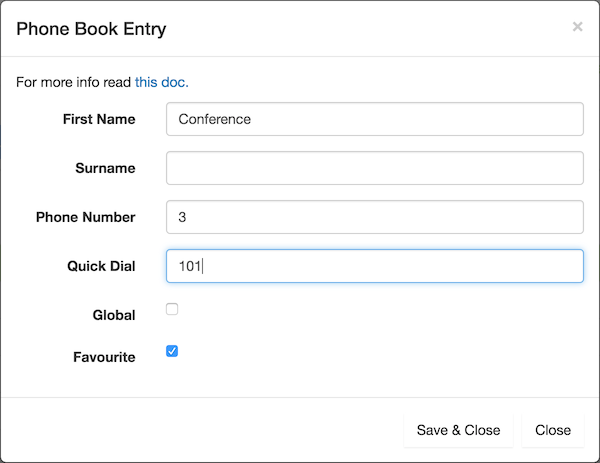 Favourite is currently supported by Polycom phones, this entry will be added to the quick dial area.